These are beautiful Eddy! I might make an order for Christmas. Well, somebody’s got to blow the trumpet! 🙂 🙂 Happy Easter, Eddy! Oh Ugh! Another question here…does that price include the soap or is that on top of soap prices…Sorry, we’re a little dense over here if that’s already been made clear. Those are very catchy images. I can tell you I know someone who would be very interested if you had a flower with a honeybee theme. Already on it Pat 🙂 I commissioned a few pieces last week! Great idea. They are all so charming. And I love the soap! It looks interesting. 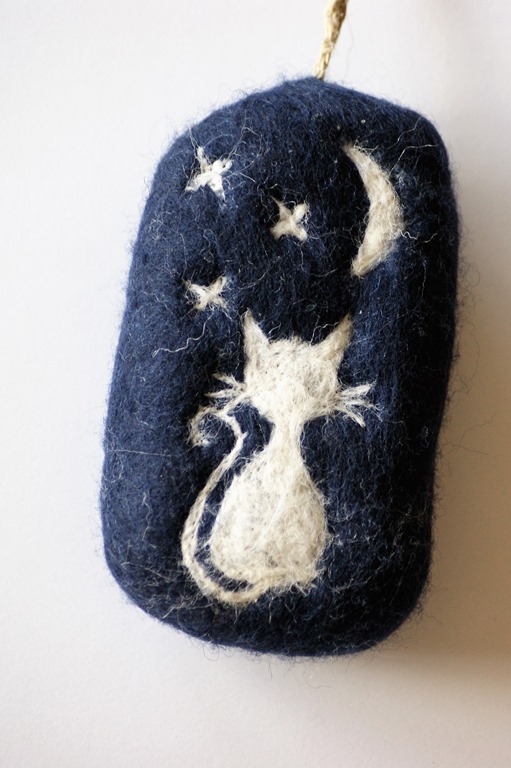 I had never heard of felted soap but there is a lot of material online about it. I was wondering what happens once the soap is used up. I assume you have the equivalent of a small felt washcloth, but I also wondered if people repurposed the felt. Couldn’t find anything on that. Perhaps you could sell display cases for them (after they are thoroughly rinsed and dried. The designs are certainly interesting. The pictures, by the way, look good. Thank you Emilio, as you say there is much on the web, we can thank Pinterest for the idea, and Iza for some great designs. You are indeed left with a felt cloth, which can be used as just that, or it is possible to slit open and pop another soap in, or? I quite like the idea on som way to display it, I guess once dried an flattened it could be framed. I suspect that some may never even be used. Do you take the soaps out of the felt before use or use it with the felt? You leave them in the felt, wet them first and work up a lather, then exfoliate…or so I’m told 🙂 I have used one for about a month now on my face and it’s still holding its shape, although I think it must be getting near to the end a it gets bendy after use! Still a good lather though. haha I was liking the cat! What a wonderful idea, Eddy! If I had the funds, I’d open a small soap shop here in Las Vegas and sell your products! Soaps in Vegas, good for cleaning dirty money 🙂 Cheers David! They are all great though, and so unusual. Some will be on my list of Christmas presents, no doubt. Previous Previous post: Movie myth busted!